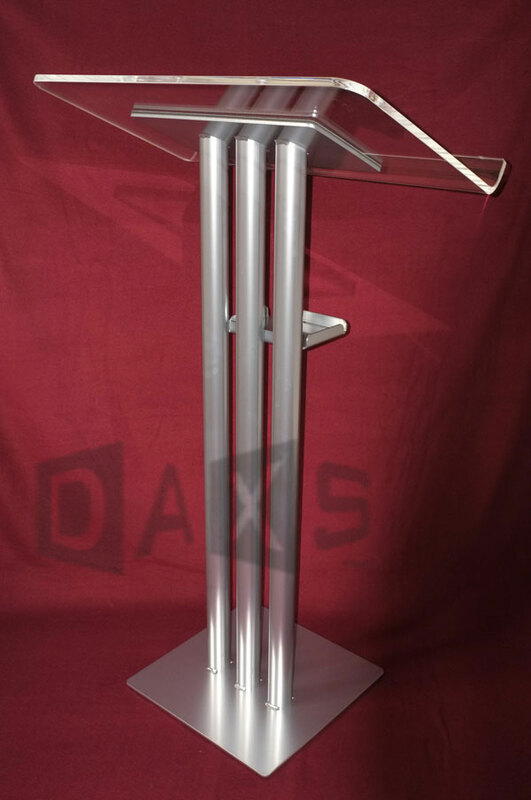 Pop-ups are compact and portable exhibition stands that can be quickly erected to provide a sturdy backwall to which spectacular large printed graphics, or loop nylon fabric panels, are attached with magnets. 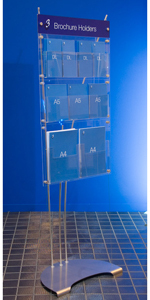 Many different frame sizes and configurations are available - round, square, straight, curved - and some can incorporate features such as shelving, backlit graphics, and large projection screens for conference applications. Pop-ups are often used to 'dress' shell schemes, and for larger areas they can be joined together to give many design options, and work well when combined with structural elements. Even simpler to use, and more durable, the latest digitally printed fabric pop-ups provide a foolproof and low maintenance solution - particularly for organisations where stands are loaned out to different departments, and used by staff with little or no training. The frame and its attached one-piece graphic (machine washable) erect in seconds, without any additional parts, and packs away into a large padded canvas carry bag. Our pop-up graphic panels are either inkjet printed on a high quality opaque polyester film and finished with a scratch resistent seal, or printed on paper and laminated between a stoplight backing and a textured seal when a more rigid substrate is required for prtemium systems. 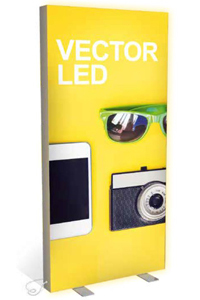 Printed fabric displays are produced using the latest high resolution digital dye sublimation. Prices are quoted for the more popular stand sizes, and are based on receiving 'print ready' artwork in a suitable format. We're happy to liaise with your designer / agency, or we'd be pleased to quote for providing design and origination services as required. All pop-up systems include set-up instruction / user training as required for customers within about 100 miles radius of London. Further afield, an additional charge for time and expenses would apply.